This is has been a way crazy year for me. Lots of bad and lots of good and sooo much change. I want to focus on only the good bits though! 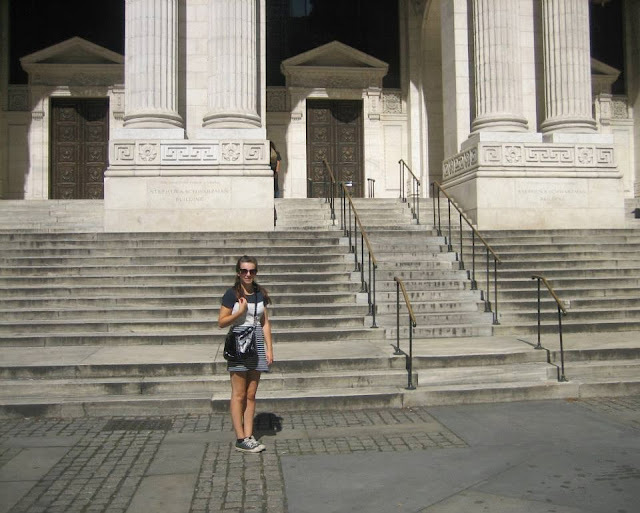 April - I went to Bordeaux to do work experience and met so many lovely people and had the best time! June - I don't usually post photos of my family but obvs all my birthday photos have them in! My 18th was lovely, we had loads of family and family friends over for a barbecue. I look like a mug in this photo but it's one of my faves 'cos of how happy I look. This is where things kinda started getting better for me as I'd finished my last year at school! I also passed my driving test the day after my birthday! July - Summer was crazy hot and I loved it! I have more photos of other lovely days out to places like Tilgate, Brighton and Hever Castle. This is in Hyde Park in London. August - this was a good and bad month. 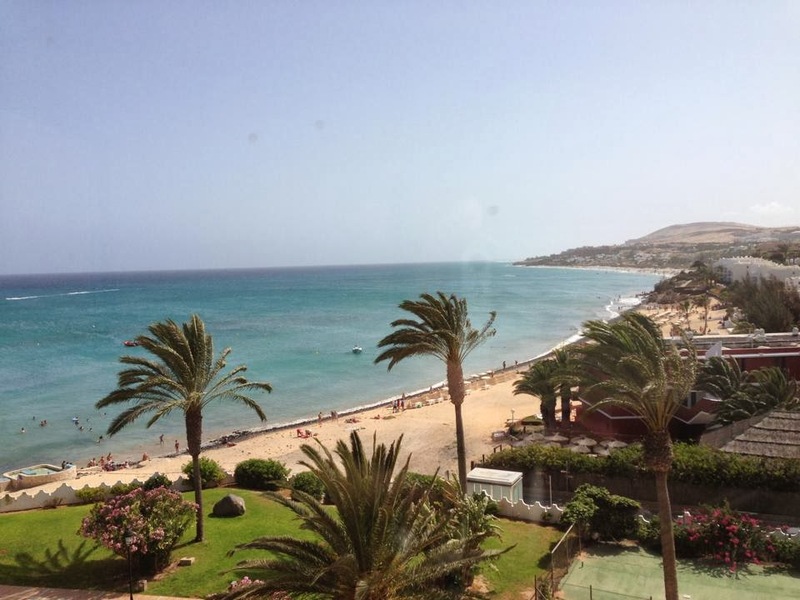 We went on our annual family holiday to Fuerteventura and I appreciated it even more 'cos of all the bad things going on. In August I also found out I got into Portsmouth uni which was amazing! Unforch I didn't get halls so I then had a few stressful weeks trying to find somewhere to live! September - I went to the Harry Potter Studio Tour with my fam. Yes this was a highlight. I moved to uni this month as well! Out of my parents house for the first time ever! October - this photo is from Halloween. 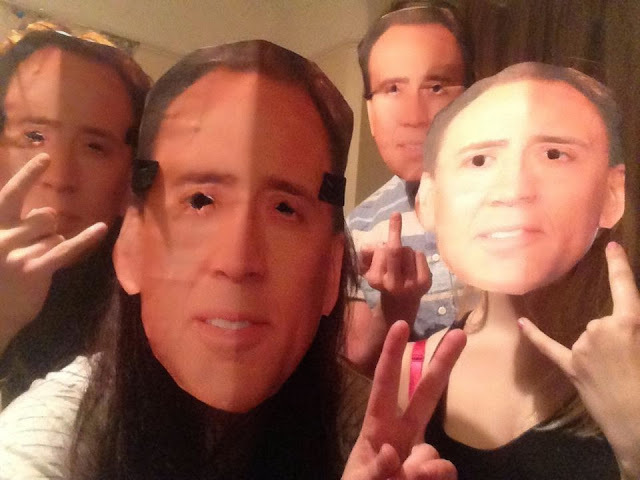 Me and my housemates made Nicholas Cage masks for it! This was probably one of the best months for me this year. I did so many things and had so much fun with my housemates, they made me feel super happy all the time. I hope when I go back after the Christmas holidays it'll be more like this again. December - Christmas. This has been one of my best ever. I appreciated family time more than ever this year seeing as I'm back at my parents house for only a few weeks. 2013 was a year of achievements, big change and big life lessons. I want 2014 to settle down with the life lessons and to be a year of fun and adventures. I want to look back this time next year at all the great things I did. Bring it on. It sounds like you have had a really great 2013 and achieved so many things. I hope you're enjoying uni and l wish you all the best for 2014! Looks like an amazing year. I can't wait to start uni in 2014! Looks like you had a good year! It's hard with ups and downs but at least you have all these to look back on and remind you of all the good memories. I hope next year is amazing for you!